The threat from al Qaeda in several former strongholds in Baghdad has been significantly reduced, but criminals who have established "almost mafia-like presence" in some areas pose a new threat, the top U.S. commander in Iraq said Sunday. Gen. David Petraeus stressed, however, the terror organization remained "a very dangerous and very lethal enemy" - a comment underscored by the abduction Sunday in Baghdad of 10 Sunni and Shiite tribal leaders who joined forces against al Qaeda (see below). "Its presence has been significantly reduced and its activity and freedom of action have been degraded," Petraeus told a small group of reporters at a U.S. base near Saddam Hussein's hometown of Tikrit, 80 miles north of Baghdad. "Having said that ... al Qaeda remains a very dangerous and very lethal enemy of Iraq," he said. "We must maintain contact with them and not allow them to establish sanctuaries or re-establish sanctuaries in places where they were before." Petraeus said the reduced threat from al Qaeda had given way to nonsectarian crimes - kidnapping, corruption in the oil industry, and extortion. "As the terrible extremist threat of al Qaeda has been reduced somewhat, there is in some Iraqi neighborhoods actually a focus on crime and on extortion that has been ongoing and kidnapping cells and what is almost a mafia-like presence in certain areas," he said. Petraeus made his comments after a transition ceremony as the 1st Armored Division, which is based in Wiesbaden, Germany, assumed command of northern Iraq from the Hawaii-based 25th Infantry Division. The new commander for the region, Maj. Gen. Mark Hertling, said the number of attacks so far in October had dropped by 300 from the previous month, although he did not provide more specific numbers. Rear Adm. Greg Smith, a U.S. military spokesman, told reporters that that more than 67,000 Iraqis have so far joined the ranks of "concerned citizens," U.S. military parlance for Sunni Arab groups who have joined them in the fight against al Qaeda. He said of these, 17,000 have applied to join Iraq's security forces. On the continuing efforts to resolve the standoff over a threatened Turkish incursion against Kurdish rebels in northern Iraq, Gen. David Petraeus said the military was playing a role in trying to defuse the tensions, but he declined to elaborate. "I am actually not going to say anything about what we may be doing with our longstanding NATO allies [and] Turkey although we clearly are doing things with them, nor will I say what we are doing with our Iraqi partners to endeavor to stabilize the situation to ensure that the sides are talking and taking actions to reduce the tension and eventually resolve some of the differences," he said. A car bomb Sunday ripped through a Kirkuk bus terminal that serves travelers to Iraq's Kurdish region, killing eight people and wounding 26, according to police Brig. Gen. Sarhat Qadir. The terminal is located in a mainly Kurdish area of Kirkuk, an oil-rich city which Iraq's Kurds want to annex to their self-rule region in the north of the country. Gunmen sprayed a car carrying five bodyguards of the head of local Sunni Endowments department in the turbulent city of Basra, killing one of them and injuring the rest, police said. Also in Basra, a mainly Shiite city 340 miles southeast of Baghdad, a local elections official was gunned down late Saturday in front of his house. 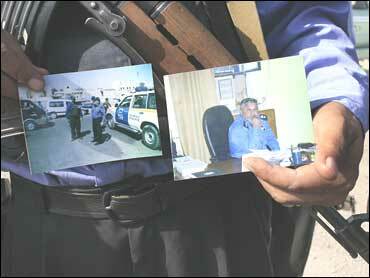 Ten Sunni and Shiite tribal leaders who had joined forces against al Qaeda in Iraq were abducted by gunmen in Baghdad. The gunmen ambushed two cars carrying the 10 men in Baghdad's predominantly Shiite neighborhood of Shaab as the sheiks - seven Sunnis and three Shiites - were on their way back to Diyala province after attending a conference with the Shiite-dominated government's adviser for tribal affairs to discuss coordinating efforts against al Qaeda in Iraq. They were representing a so-called Awakening Council, as the anti-al Qaeda groups often are known, in the Salam area, due east of Baqouba, a former al Qaeda stronghold. Earlier in the Abdul-Hamid village outside the Diyala provincial capital of Baqouba, suspected al Qaeda fighters kidnapped 10 villagers after they clashed with insurgents from a rival group, according to a police officer there. Two Sunni Arab men were killed Sunday when a bomb planted outside their house went off in Baghdad's western Gatoun neighborhood, police said.